The LoCooker is designed from the principles of energy and water efficiency. It presents a new concept in water based cooking, using just a fraction of water compared to traditional methods. It has multiple uses including cooking of vegetables, meat and fish as well as all foods prepared Sous Vide. 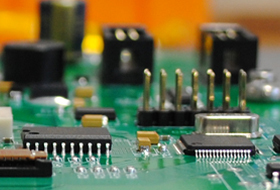 Easy to use, with a rapid heat up time and precise temperature control it delivers reliable, consistent results. The LoCooker is a worktop or under counter cooking appliance. It is powered by a standard 13A wall plug, requires no external water supply, no external extraction and can be used for almost any catering situation. The LoCooker is a highly energy-efficient cooking system that allows the Chef to deliver superb quality food to their customers. The LoCooker also has the advantage that it costs little to run, and uses little water. The LoCooker can be used to prepare all foods that are traditionally cooked using water. 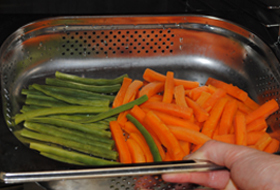 It can replace cooking on a hob, in a water-bath, or in a steamer. The food can either be cooked in a sealed bag or placed directly into the gastronorm trays. Masses of energy is wasted during traditional cooking processes. 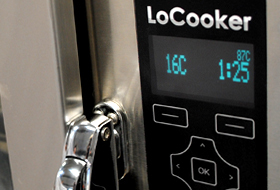 The LoCooker has been carefully designed from principles of energy efficiency. Because of this it saves energy and reduces energy bills.